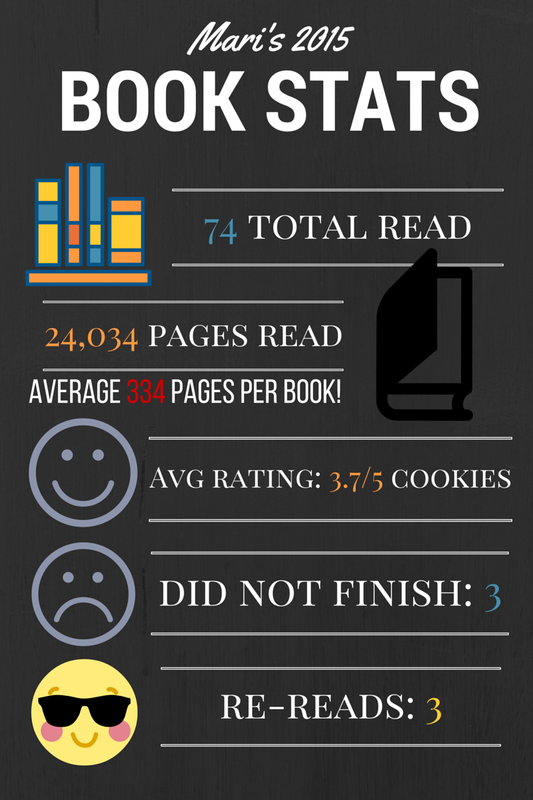 So I miserably failed both the reading challenges I set up for myself in 2015. I swear there were years where I made resolutions (to write more, get published, get a job, read more, continue blogging, etc. ), and actually managed to get through them. For some reason, it’s always the reading that’s been hardest. Silver lining, though! I managed to smash my Goodreads reading goal once again last year, which I suppose should have meant there was no excuse to NOT have finished a reading challenge. That said, I probably need to work on not getting distracted by other shiny books as opposed to the ones I’ve put on the list. But let’s get serious here. I WILL probably keep getting distracted. And I WILL probably change my mind about which books I’ve prioritized and thensome. I’m still going to go for it, though. So the 25 Reads challenge is one I’ve set up for myself. Who knows whether or not I’ll sign up for more (and then curl up in a corner and sob overwhelmingly). I have also decided to sign up for two challenges (goodness knows why, considering I utterly FAILED the TBR Pile Challenge…). All the same, this might actually be a bit more doable, considering I’ve basically streamlined my TBR list to mostly fantasy. The Flights of Fantasy reading challenge is hosted by Alexa Loves Books and Hello, Chelly. Considering the majority of what I read IS fantasy, I figure I can polish this year off with at least 30 fantasy books under my belt. Heck, I might even join the FoF book club, ’cause they’re reading a majority of the books I absolutely love and/or would love to read! I’m also stoked for this Fairy Tale Retelling Challenge hosted by The Daily Prophecy. Because, again, like Flights of Fantasy, this is something I regularly read anyway. I know, hardly out of my comfort zone, but it is what it is. I’m hoping to hit at least Evil Queen Status (10-15 books), though there’s every possibility that I can get through more, depending on what I pick up. I tend to go for lower reading goals, because I tried to challenge myself by doing 90ish books one year and realized it was way too much pressure. So much better to do something easier work from there. What I wish I had kept track of (and you’ll understand why this always reminds me of you) is how many fanfictions I read as well. Like, some of those are hella long! Itse definitely on my list! I just have to find a way to balance reading that book on top of the other books I want to read and review, lol. but seriously it is that good…sanderson is an amazing author and if you are daunted by the size of Way of Kings he has other shorter books which are also such a joy to read.